In planning a holiday, one of the essential things that you need to plan for is your accommodation. If you are planning to rent a Byron Bay beach house, here are a few helpful tips that will allow you to enjoy your stay and even save money. If you are keen on getting a good deal for a beach house while minimising some of the hassles involved, start looking for beach houses to rent months in advance. Take note that good beach houses are often booked quickly during peak times. Once you have chosen your Byron Bay location, start looking at possible options to choose from and do your research to narrow down your choices further. 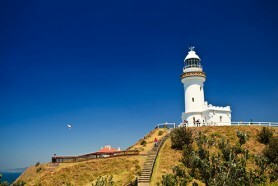 You can go online at www.byronbayholidayz.com.au and check potential beach houses to rent. Byron Bay Holidayz has a great online tool that allows you to input key information like your travel dates, number of people in your party, facility options like wifi or swimming pool in order to narrow down available choices. Apart from that, our website offers detailed descriptions about available accommodation options. In renting a beach house, you need to put down a security deposit. Although it is refundable after your stay, you need to make sure that you allocate enough money for this. Also, be sure to ask about the requirements that need to be satisfied for you to get full refund of your security deposit. Beach house rentals have differing policies regarding housekeeping. Enquire about this ahead of time and find out who is responsible along with the cleaning schedule.